Our job as Financial Advisers is to help you get the returns you want from your savings and investments. 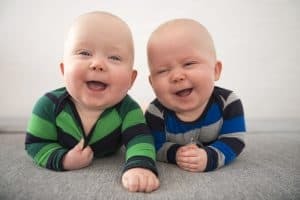 It is also to reduce the amount your family will need to pay in Inheritance Tax when you pass away, and sometimes through effective planning your estate won’t need to pay any at all. There is much more detail about how we have helped our client with her estate planning on our estate planning web page, but in a single sentence this is what we’ve been able to achieve. 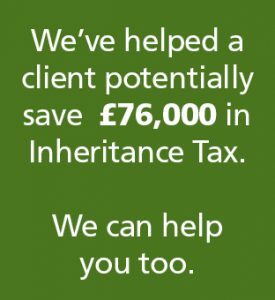 The client has enough income to live on, enough capital to fall back on and she has saved her children a potential Inheritance Tax bill of £76,000. Planning for what happens to your money after you have passed away is complex, and always changing. For example only recently Chancellor of the Exchequer, Philip Hammond has written to the Office of Tax Simplification to put forward proposals “to ensure the system is fit for purpose”. This will include looking at the annual threshold for gifts. And over the past 3 years there have been changes that affect pension assets. So we recommend you seek professional expert advice from your Financial Adviser in Lichfield and surrounding areas on Inheritance Tax planning. Tax Planning and Auto Enrolment is not regulated by the Financial Conduct Authority. As financial advisers you expect us to deal in facts and figures, which is correct. But we believe that the facts and figures are the means to achieving your hopes and dreams. After all, what are you working for? What is the point of accumulating money and wealth for the sake of it? We are actually in the business of helping our clients to achieve their hopes and dreams. Whether this is to move to your dream home, be mortgage free, work less or retire early. How we achieve this is through the knowledge and experience of our financial advisers in Sutton Coldfield and the greater Birmingham area, and through the use of exceptional industry leading software. The software we use creates visual images of your current circumstances and financial future. The graphs are easy to understand and when you have a meeting with your financial adviser you can play out ‘what if’ scenarios in real-time and there and then see how this changes your plan. 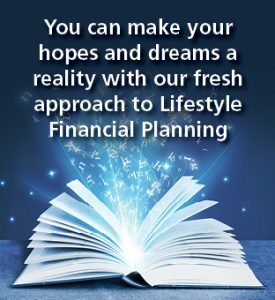 For more information please visit our Lifestyle Financial Planning page, or contact our Client Liaison Team to make an appointment. Our initial meeting with you is at our cost and together we will quickly establish whether you want to embark upon making your hopes and dreams a reality.